Artwork by David Lee Csicsko hangs in the Lewis Library, 6th floor of 25 E Pearson on Loyola University's Water Tower Campus. This is a guide to information about the artist and his work. In honor of Loyola's 125th anniversary, Chicago artist David Lee Csicsko has created a unique stained-glass design featuring St. Ignatius Loyola. A large version of the design regularly hangs in the 25 E. Pearson building at WTC; and four smaller renderings appear at the Lake Shore, Medical Center and Rome Center campuses. Chicago artist David Lee Csicsko (pronounced “Sis-Ko"), is well known for his work in a variety of mediums. 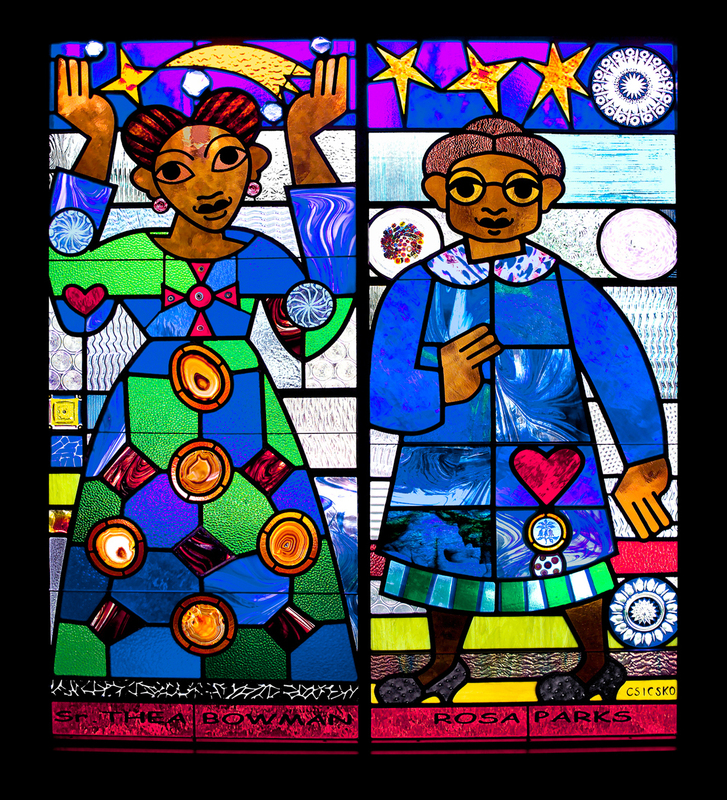 He is notable for his work with stained glass, murals, book illustrations and much more. 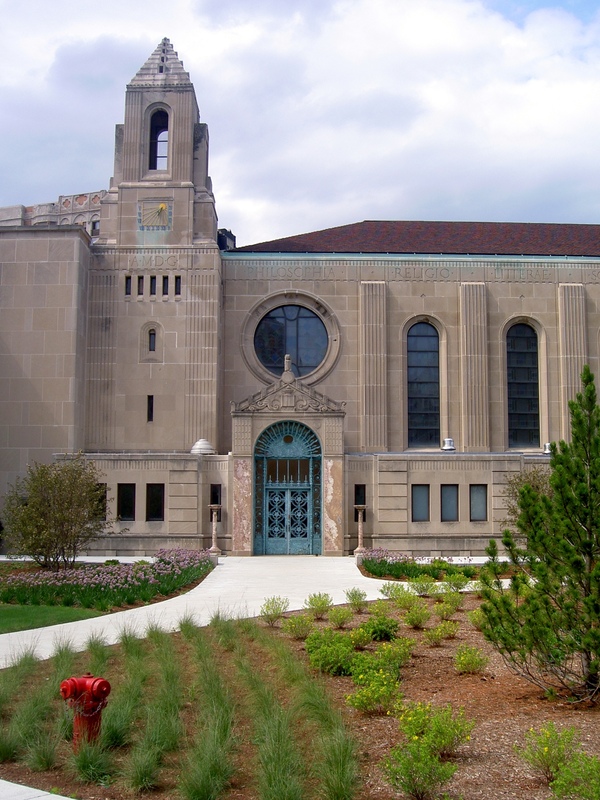 He has been featured in a number of museums, including The William J. Bachman Gallery in Munster and the Loyola University Museum of Art which features some of his stained glass work. 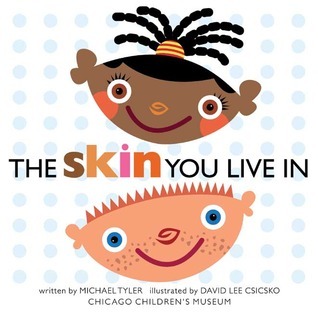 He also does book illustrations, including Behind the Lions: A Family Guide to the Art Institute of Chicago​ and The Skin You Live In. Csicsko studied design at the Cleveland Institute of Art where he earned his bachelor’s degree. Check out his website for more information about him and his work. CTA Red Line: In 1999, David created 15 panels of 4 ft by 4 ft stylized heads for the Belmont El Station. This was adopted and sponsored by Ann Sather Restaurant, and these images became icons for the Belmont neighborhood. The faces reflected the diversity and hip culture of this busy street. In 2009, David won the commission to design new murals that would be made into glass tile mosaics. This new design keeps the flavor of the older art work but pushes it forward. The large art will be a train with many riders, with striped complexions. It is all about the diversity of the neighborhood. It will be very colorful and just wonderful to look at. The Saints in the Garden Series of prints: These were influenced by Csicsko’s interest in German Expressionism, ArtDeco, African art, and folk art. The collection, currently found in the Lewis Library, 6th floor 25 E. Pearson, was purchased by the University in 1996. David's print series features strong thick lines that are so bold they suggest a stained glass feeling. 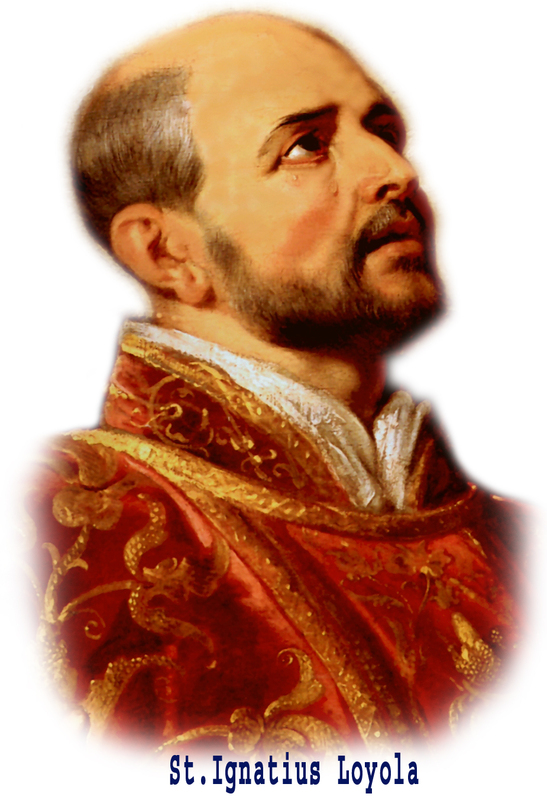 In 1995, Loyola commissioned his first stained glass window of St. Ignatius Loyola. This first window was the start of many windows. David has designed windows for St. Benedict the African Church on Chicago's South Side and St. Ailbe Church also in Chicago, as well as St. Maria Gorettii Church in Dyer, Indiana, and Bronson Hospital in Kalamazoo, Michigan. David's mosaic designs include commissions from St. Nicholas Church for the Stations of the Cross, in Evanston, Illinois, and The Geminus Center in Merrillville, Indiana. Series of Posters for North Halsted Market Days: a 300,000-person street festival that takes place in Lakeview each August. Posters: including one for the 1983 Lyric Opera production of "The Mikado." David has created graphic posters for some of Chicago's major museums, including The Museum of Science and Industry and the Shedd Aquarium, as well as posters for many book fairs, including Leipzig, Germany's Children's Book Fair, Miami International Book Fair, and the Chicago Printers Row Book Fair. His works have been shown at the Art Institute of Chicago in 1998 and the Chicago History Museum 2007-2008. 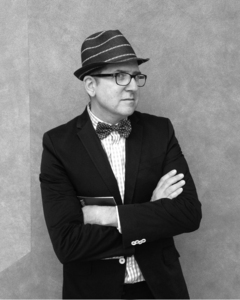 David served as a consultant for Gay Games VII, including developing a series of sports and culture-specific icons, posters, and designs for collectibles for the 2006 Sports and Cultural Festival. David also designed graphics for "Chicago House" and "Open Hand" now called "Vital Bridges." Both charities serve the men, women, and children of the HIV community. Need assistance? Please access our Need Help guide for all of our help options, including our 24/7 AskLive reference chat service.